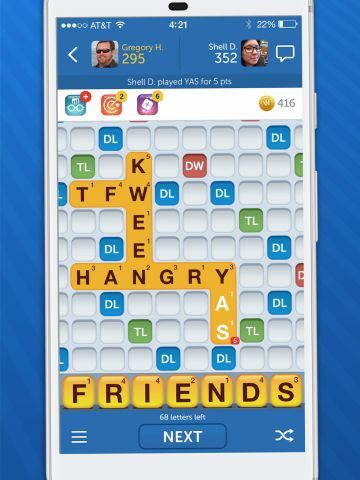 Many of the words you've been dying to play in Words With Friends are now playable. Yas, Kween! People get pretty competitive when it comes to Words With Friends. Usually players have a strategy, whether it’s playing defense or specializing in multiple-word plays. It’s rare to encounter someone who plays for fun. Is it weird to not play for bragging rights? Asking for a friend. NPR has an excellent strategy article here. Now go werk! Download Words With Friends for iOS.